The first international law firm to open an office in Tripoli after the Revolution has quit the country because of concerns over security. In actual fact, as reported by The Lawyer, Clyde quietly shuttered its Tripoli Tower offices this April. There are none of the firm’s staff operating in the capital. Existing clients are being supported from Clyde’s offices elsewhere. 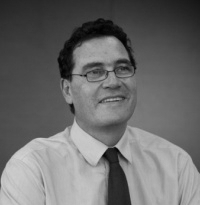 Its regional headquarters are in Abu Dhabi from which senior partners, including Adrian Creed used to fly in regularly. The firm announced that it was going to start work in Libya just after the 2012 election for the General National Congress. It was a time general optimism. Clyde frequently responded publicly to proposed pieces of legislation that it thought might hinder commercial recovery. In particular, it produced trenchant analysis of the changes to the foreign investment law, which it warned, that by limiting overseas companies to minority shareholdings, would drive away overseas existing and potential investors. The firm was also active in promoting at international conferences, what were then seen as the opportunities in Libya. Shortly before the Libya Dawn takeover in Tripoli it had sponsored what were planned to be monthly breakfast briefings for local and foreign businessmen.